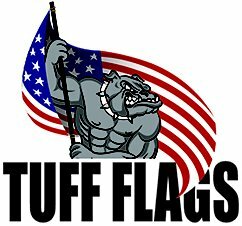 All of us at Tuff Flags know buying at a distance without seeing the product first can create some anxiety as to what you will actually receive. To make buying from Tuff Flags a more assuring and comfortable experience, we added Returns Made Easy as a benefit to our customers. While we do our best to offer the highest commercial grade products available and to describe our products the best we can, there will be times when our descriptions don't match your expectations. We have put this Returns Policy in place for those times. Returns Made Easy for any reason! We base this policy on the Golden Rule, to treat others as we would want to be treated. If you don't feel the product was described fairly or that you were advised incorrectly as to which product to purchase, please return it to us. We want you to keep our products when they satisfy your expectations, not because there was miscommunication. We will return your purchase price upon receiving the product including the original shipping charge without a restocking fee! We only ask that you do so within 14 days of receiving your order. If we were buying a product from you, we would hope you would do the same for us. To protect our customers and our ability to continue offering this Returns Policy, there are some limitations. Custom or customized products. We will not create a custom product without your explicit approval of the proof we've provided. 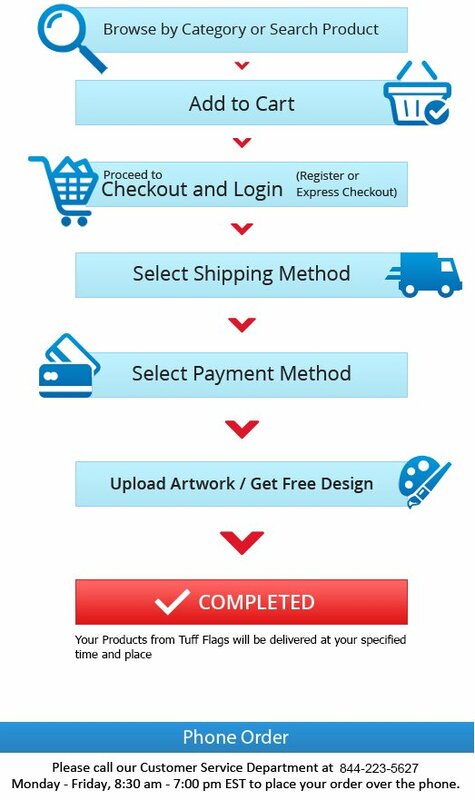 Once you have approved the artwork proof, we can not accept it back. Products shipped by Freight (Truck). This largely applies to Flagpoles. If the reason for your return is due to defective construction or materials, Tuff Flags will absolutely cover the Return Shipping back to us. Fading or normal wear and tear. Colorfastness refers to fading within the same base color. If you are unsure if your order qualifies for a free return, please don't hesitate to reach out! We welcome any quesitons you may have and truly want you to be satisfied with your products.